One of the problems with Christopher Columbus style ranching. You put them out in the spring then “discover” them in the winter. Poor animal husbandry in remote areas can lead to all kinds of problems for ranchers, cattle, wildlife, and habitat alike. It’s just one reason that these Great Basin desert areas are unsuitable for cattle grazing in the first place. It’s a desert and cattle grazing requires a huge amount of land just to support one cow. 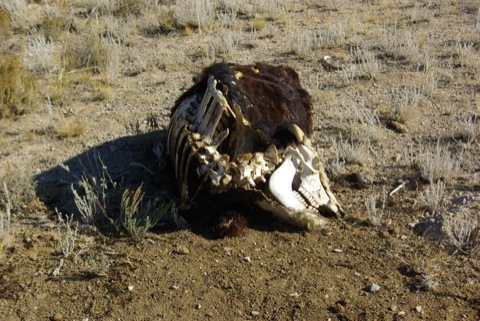 There often isn’t enough water for the cattle and the plants and landscape of the Great Basin did not evolve with large ungulates like bison or cattle so they are easily damaged by the presence of cattle. Here, the ranchers are complaining about rustlers. 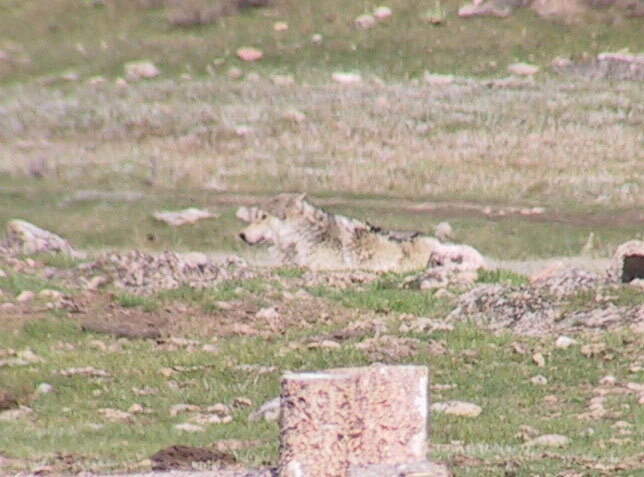 This is probably a widespread problem throughout the arid West but, as you can see from the article, the ranchers are reporting sightings of wolves in the area. I’m sure that once any sighting is confirmed the hysteria will quickly focus on wolves rather than rustlers as a cause for their woes. Oregon ranchers hit by rustlers finding a surprise this winter: returning cows. Although the report makes no mention of this, the report includes detailed graphs of wolf population and livestock losses to wolves over the years. Look at figure 1 in the report. If you take out one exceptional data point (a large sheep depredation in the Bighorn Mountains in 2009), there is no association between wolf numbers and depredations numbers since 2006. There was a trend until that time. This is important because we hear from USFWS and others something like this Ad nauseum, “The good locations for wolves are all taken. As the population of wolves expands, conflicts with livestock will increase and at an accelerating rate.” [note that this not a actual quote, but a summation of many quotes].